In April 2016, I had the opportunity to speak about component libraries to the Lancaster Front-End Meetup group at the Candy Factory. May 2016. UX Basics Workshop for Ladies, Technically Speaking meetup group in Lancaster at Co-Modo. October 27th, 2015 I spoke at Millersville University. Their Graphic and Interactive Club, Cmd + Creativity, invited me to share some career insights. I named my talk "Designing Your Career", and made a keynote, hashtag for the event and gave a book away. I also got a nice little tour of the art building afterward by Professor Mata and left everyone with a url to get more information. I'm very grateful for the opportunity to help prepare some young designers for their journey ahead. Photo Credits: Professor Nancy Mata. 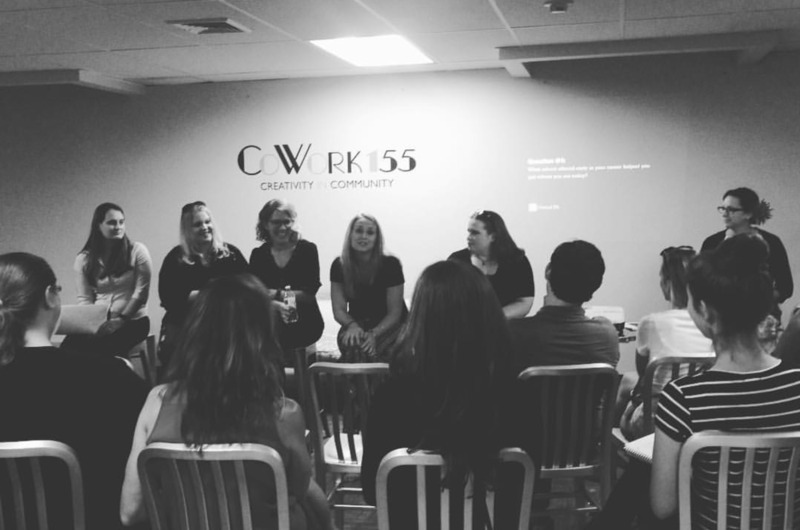 I was recently on the panel for the Central Pennsylvania AIGA's Women's Leadership Initiative September 19th, 2015. All panelists were women in the creative and technology fields. Learning and laughter ensued. In November 2014, I spoke at the Central Pennsylvania AIGA event: In Haus Kreativ, featuring in-house designers. We heard from a variety of area designers with in house positions, which I found refreshing from so much agency focus in the past. I think the audience found it inspiring that it was actually fun to do, and has its perks!